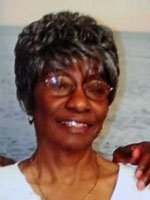 Update: The statewide silver alert issued last night for Ella Mae Henderson, of Topeka, has been canceled. The KBI reported this morning that she was located safe in a nearby county. TOPEKA, Kan. – The Topeka Police Department requested that the Kansas Bureau of Investigation issue a statewide Silver Alert for an endangered 77-year-old woman with dementia, who could possibly be in the Osage County area. The Topeka Police Department is currently trying to locate Ella Mae Henderson, 79, of Topeka. She is 5 ft. 6 in. tall, with black hair and brown eyes. She was last seen around 3:30 p.m. Monday, July 30, 2018. Henderson suffers from dementia. She was last seen driving a silver Cadillac with the personalized Kansas tag of “MSEL”. She may have headed south from Topeka toward Osage County. The Topeka Police Department asks anyone who sees Henderson, or who has had contact with her since 3:30 p.m. Monday, to immediately call them at 785-368-9200.